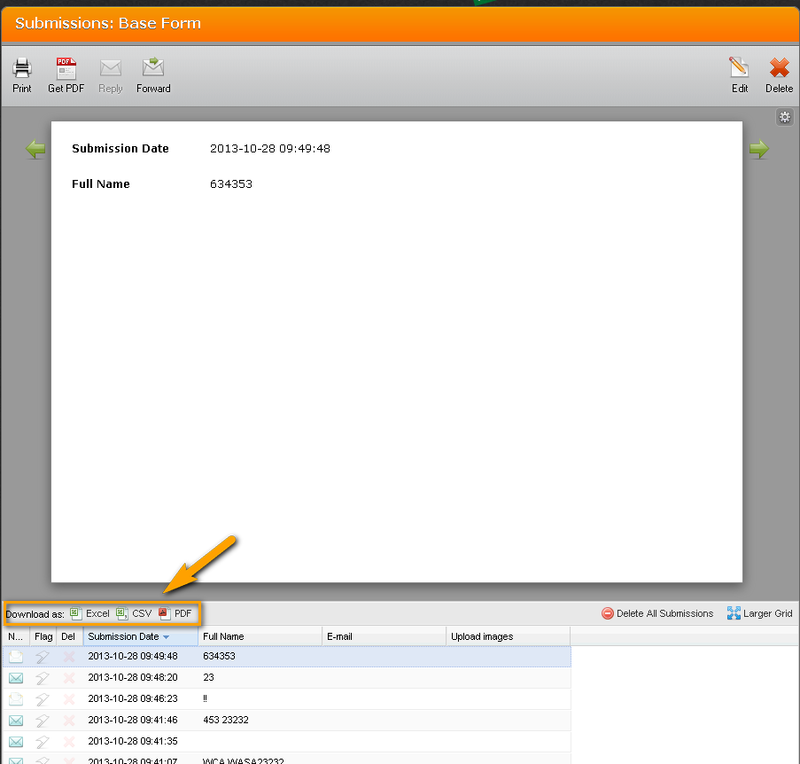 I currenlty have a form create, how easy is to swith from dropbox back to jotform? Is all the data drop in dropbox, or can you pick what would be store in check one (dropbox and jotform)? Will the form still run from jotform? I'm having challenges understanding exactly your request anyways I will try to explain briefly how the DropBox integration works. Once you integrated your form with Dropbox, the uploaded files to your form along with a pdf file containing the text data fields submitted to your form will be automaticlly uploaded to your DropBox account. Your form still run with JotForn, a copy of the submitted data/files will also remain at your JotForm account, you can break the dropbox integration anytime and your form will still working as always. 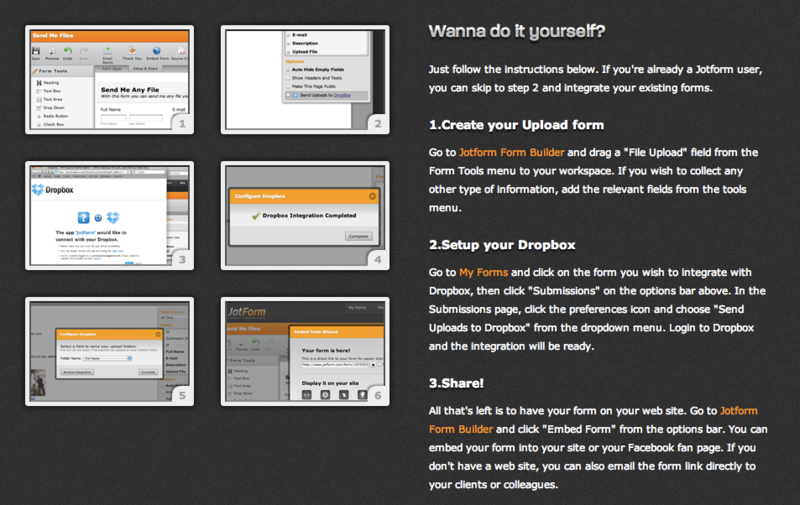 Ok.. Now that i create a dropbox form using the wizard, can I copy one of my form into the dropbox form? Can I still use paypal with the dropbox form? Yes you can use Paypal within your dropbox form. 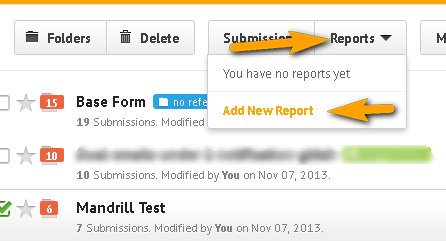 However, copying one form fields to another form is not quite possible. The best option is to simply integrate dropbox to the other form. Simply go to this page to be guided on how to integrate dropbox. One more question.. it did create an entry in dropbox but as a pdf? anyway it can create an excel? 1. 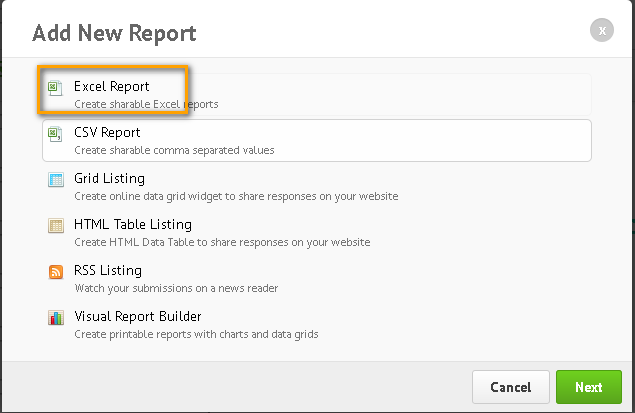 You can also create Excel reports by selecting the form with submissions and click "Report" > "Add New Report"
3. After you have finalized the field selections it will generate a permanent Excel link for you to download or share to your friends. This link will always contain the updated submission database.